Could Rent Controls De-Couple the G.T.A Condo Market ? #RentControl #GTA #TREB – Accurate (Peel) Appraisals Inc. 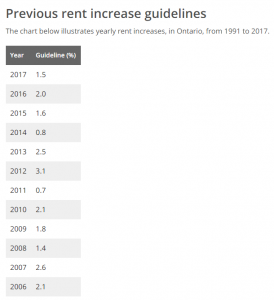 The new 2018 rent control guidelines (https://www.ontario.ca/page/rent-increase-guideline) which now includes all private market housing units within the province. This new legislation will effect > 30,000 newbie landlords. Most will be apartments in the sky. Please note that vacancy rates in the G.T.A are < .085%. This categorical evidence demonstrates that this is a vibrant city where nearly everyone wants to live. However, the backside of this equation is that a diminutive <700 sq. ft. condo apartment now rent for >$2,000 per month. However the real question remains does this seemingly exorbitant rent cover the monthly expenses of the average investor with a 20% down-payment ? The real answer is probably not ! Normally Taxes average $300 per month plus maintenance fees of approx.$500. Then we have mortgage payments in a rising interest rate environment. Presumably the average investor has astutely purchased their high rise rental between $400 & $700 per square foot. Doing quick median math; The average purchase price is $385,000 less 20% & closing costs. So approx. > $300,000 multiplied by 5.28 $. which represents per $1,000 at 4% over 25 years, equals $1,584. per month. Thus Total monthly costs are approx. > $2384. Subsequently, the landlord has a small but significant negative cash flow of nearly $400 per month. This monthly loss will be exasperated by the final purchase of a condo unit. Which as most people recognise has been rapidly escalating with near irrational exuberance thru 2016, 2017 & the early part of 2018. Combine the former with the new posted bank rates. Which now hover around 5.5%.for a 5 year term. Add the new mortgage stress tests and yes Houston we have a problem ! Not surprisingly many new would be Donald Trumps may have to scale back on their # of units as to better provide additional liquidity. Please keep in mind that fewer than 20% of G.T.A condos were purchased with an all cash position. This transference of financial responsibility could help explain the exponential rise in 3rd party lending. Private lending is now > 6% of volume & 12% of borrowers. If this landlord owns more than one rental unit, his annual loss of $4800 is multiplied across the # of units. So why would anyone continue to hold on to a loosing investment? Evidently the perception of much higher future returns holds an ultra strong allure.. However unquestionably these beckoning returns will undoubtedly be mitigated by these new designated rent controls. 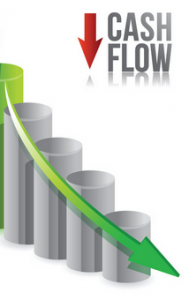 Commonly investors require a competitive rate of return. Logically continually rising condo prices,(now edging in on $1,000 per sq.ft. )combined with curbed rental aspirations will undoubtedly plague Toronto`s sooner rather than later. 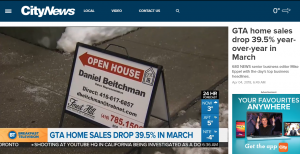 NEXT WEEK WE TAKE ON THE THE DISMANTLING OF THE OMB….stay tuned…..
CIBC Senior economists Benjamin Tal reviews 2018 Spring property market.